The West African team with the slightly less nice kit, Senegal have stuck over the board to Russia with relatively small amount of fanfare, despite possessing one of the most exciting squads they have had in years. Managed by Aliou Cisse, a man who has been there and done it, and with a squad who are no strangers to the big stage, there is a cautious optimism about Senegal, but tapered by memories of where such optimism got them before. Penalty shootout disappointment in the quarter-finals of AFCON 2017 was a big blow to the Lions of Teranga, kicking the chair out from under a team who were expected to do big things. Failing to break down a staunch Cameroon side despite a wealth of attacking talent, the players could be seen as having a lot to prove, this time on the world stage. On the other hand, there is not a lot expected of them. In a very competitive group, no one would begrudge them a group stage exit, thought there may be some secret hope that their potential for free-flowing attacking football may come together in the icy climate of Russia. Qualifying with little struggle whatsoever, they have a structure which could allow them to benefit from their underdog status. With the likes of Algeria and Ghana to emulate from the last World Cup, their continental cousins showed what can be done if you can organise a defence and break quickly. If Senegal can get it right, who knows what can happen. Lining up in a 4-3-3 formation, Senegal’s basic plan is for the front three to get busy and the rest to get kicky. With an incredibly dynamic front-three of Mane, Mbaye Niang and Balde Keita, there’s a lot of potential for chopping and changing and general bedazzling of opposition defences, and an arrangement that suits star man Mane very well after perfecting it with Liverpool this year. The midfield, made up of a variety of bruisers of varies sizes and statures, is there to stop the opposition and try to recycle it forward. From the lanky Cheikhou Kouyate, the stumpy Badou Ndiaye, to the downright enormous Cheikh N’Doye they have no shortage of men think about tackling even in their dreams, protecting a decent and fairly experienced backline marshalled by the glorious Kalidou Koulibaly. 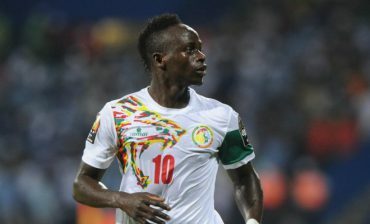 Saido Mane – He may be the player that every African football blagger has picked out as the man to watch, but there is reason for that. The Liverpool man is coming off the season of his life, relishing his new role as second in command to Mohamed Salah, after previously being The Man for his club the year before. Whilst not making as many headlines as the Egyptian, he remains sublime, so whether he can thrive as The Man for his country will give a good indication of how the Lions of Teranga get on this tournament. After missing the key penalty against Cameroon in the quarter-finals of AFCON 2017, you get the feeling Mane will be going all out to make up for lost time and failed spot kicks. Kalidou Koulibaly – A sleek, inimitable and understated player in the Hipster mould turning out for the Hipster’s main club Napoli, there really is no other choice. Another player who has had a memorable season, he will be the one coordinating the Senegalese backline to stop the ball going anywhere near their goal, partnering with the exceptionally experienced Kara Mbodji at the back. Remembered for the bullet header against Juventus that tempted everyone to believe Napoli could win the title, he will look to use is able passing ability to spring an attack for his side, whilst his aerial prowess at the other end of the pitch could come in handy should Senegal need to nick a goal from a set piece. An experienced, talented squad – With four players with more than 50 caps and a large chunk of the squad with over 20, this Senegal squad has the accolade of having been there before. Unlikely to be overawed by the occasion, they are made up of players who have been to the big tournaments with Senegal and played in the big competitions with their clubs. A squad that almost picks itself, there aren’t many who can count themselves as unlucky to miss out, meaning the groups of players know each other’s moves and are familiar with the way one another play – an invaluable quality coming into a tournament as underdogs. Limited attacking flow – Whilst looking like prime dark horses on paper, unfortunately it doesn’t always play out like that in reality. When needing to control the ball, Senegal have often struggled to get any sort of passing game going, with the combative but creatively limited midfield three offering little way of connecting the middle of the pitch to the front. At AFCON, they were seen to be slightly underwhelming, with one of the best squads they’ve had in years not fulfilling pre-tournament expectations with some slightly laboured performances. However, in a tournament where they come into it with low expectations and likely to be more on the back foot, the scope for some explosive counter-attacking play makes the mind boggle with excitement. In a mixed group, where all the teams will no doubt be seeking to suss each other out early on, it will be interesting to see the approach Senegal take. Aliou Cisse – A pensive and calm figure on the touchline, Aliou Cisse represents an exciting new hint of a movement in African football towards giving former players the chance to manage their national team, rather than resorting to the default washed up white European. Part of the 2002 squad that did some memorable things in Japan/South Korea, he will be hoping benefit from the unexpected one again, and has brought in the likes of Omar Daf and Tony Sylva from that squad into his backroom staff to foster that magic. In charge since 2015, you might say the pressure is on Cisse somewhat, possibly needing to get his boys out of the group before the FA pull the trigger after the lax showings in Gabon in 2017. Group-stage exit – In an incredibly mixed group, it will probably be between Poland, Senegal and a misfiring Colombia to see into the next round, where a showdown against England or Belgium will most likely await. While they quite possibly have the potential to escape their wildcard group, it may be stretching the limit of Senegal to predict further progression.